You may noticed on recent update from most of the software, tools since last week and this week, a privacy update on GDPR. GDPR stands for General Data Protection Regulation. This regulation is to help users on the Internet to protect and aware on how the service or website using their data. According to WikiPedia, and other readings, this rules are for EU countries by 2016 but of course, everyone also aware that its now enforcement is because of recently data privacy related to Facebook on the court. 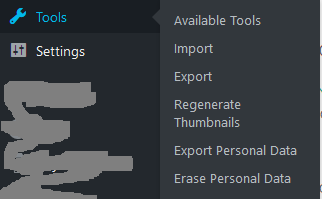 We could see, even WordPress has been released its new update on tools that allows user to export their personal data. Many website such as from Google (by each of its product), facebook, … and I got this surprise with in this week because all the sites that I have been subscribed sent me about the update of the privacy and has been well stated on GDPR such Podio, Openbravo, Hygger, .. and other more. What is the deadline so far? It is tomorrow, the 25th of May for EU enforcement and the fine with the technical services without this update can be around €20 millions pound or 4% of global annual turnover, whichever is higher. How this would impact to Cambodia? Of course, I’m not a law person who can answer this but depending on the reading for any business who work with EU citizens need to compliant with the regulation so even China also mentions for the update such as Alibaba also stated that. So, do you know who has been updated in Cambodia?